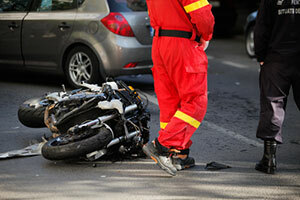 Have you been injured in a motorcycle accident in Wellington, Florida, or have lost a loved one due to a wrongful death? If so, you will need the advice of the best good Palm Beach injury attorney you can call to advise you on your options. Our Wellington motorcycle accident lawyers at the Wolfson Law Firm have been helping injured victims get compensated for personal injuries in South Florida since 1963 and we are ready to help you as well. Call us now for your free consultation at 855-982-2067. We will help you determine if you are entitled to claim damages and the best legal otions to pursue that compensation. Our consultations are free. Wellington is a village with the size of a city located in the middle of Palm Beach County, Florida. Even though it is not a village by any standard for village in the United States, it is referred as the Village of Wellington. It lays on the western edge of the inhabited area west of West Palm Beach, Boynton Beach, and Lake Worth. Wellington is the most populous village in Florida. According to estimations, nowadays, around 70,000 people live there. Over 80% of them have English as first language. Unlike other parts of Palm Beach County and Florida, just a small part of the population belongs to minority ethnicities. The median household income is at $77,000 and the per capita income for the village is at $40,000. That, together with the abundance of cultural and recreational venues, made the Money Magazine list Wellington as one of the Top 100 places to live in the United States. When you call our Wellington motorcycle accident lawyers at the Wolfson Law Firm, we will start by examining the circumstances of your case. We will determine whether you have a compelling case or not. We will let you know our opinion on this matter. For a client, it is important to know if the case is not strong, so that he won't lose money, time, and energy on unnecessary litigation. However, we will work with you, your doctors, witnesses, experts and anyone else who can provide valuable information about the accident and try to build a solid case. Then, we will request compensation from the insurance company of the reckless person who is liable for your injuries. If they don't agree to compensate you as you deserve, we will file a lawsuit and, if necessary, go to trial on your behalf. Whatever happens, we will stand by your side until the end. We have been in the business since 1963 and we know how to guide you. Injured victims are in difficult life situation and they shouldn't be outplayed by insurance companies. Call us now at 305-285-1115 and let us help you. Our consultations are free. We handle cases on a contingency basis, which means that you won't pay fees unless we recover for you.